Description George T. Drew was involved in a plane crash on C. W. Kruse's cabbage field. (See Oregonian article 8-1-1926, p.1and photos 1345 - 1348.) Original photo was hand colored. 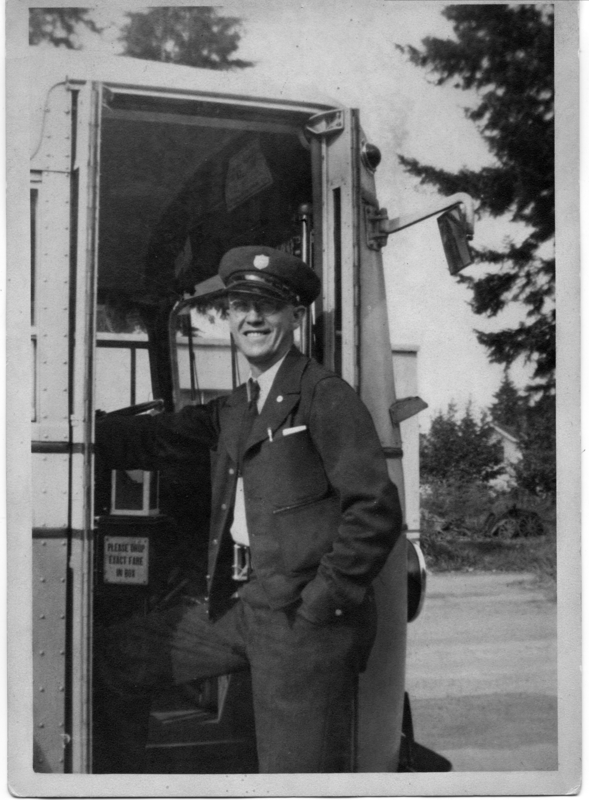 He was a Traction Co. bus driver for 42 years; retired in 1961.